So glad you enjoyed Nicky and Brandon... they are one of my favorite couples. The series is a good one, and one I re-read often. Mariana, I finally got to Nicky and Brandon! They were great in this first book and I'm really looking forward to reading the second book. 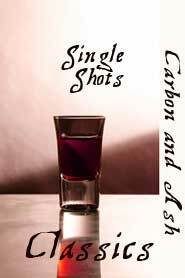 Hmmm, Carbon and Ash... must be hard for two single parents to start a relationship. Nath, they're both good reads! Great mini-reviews Hils - thank you!